Following the surprise release of Magic Leap's SDK on Monday, March 19, Unity, Unreal Engine, and Mozilla followed up by announcing official partnerships with the company. "We are proud to partner with Magic Leap to integrate the Magic Leap platform with Unity," Unity announced on its official blog. "For all creators looking to get started today, we're thrilled to make available the Unity Technical Preview and the Lumin SDK available on the Magic Leap Creator Portal!" Unity even offers a short guide to getting started with the Magic Leap Technical Preview, which is built against Unity 2018.1. "Magic Leap's early access partners have already been building high-quality IP in Unity, including Weta Workshop's Dr. G's Invaders, Sigur Rós' Tónandi, developed in partnership with The Mill, and NBA Digital's NBA App, enabled by Magic Leap's Screens platform," Scott Flynn, Unity's director of development, said on Monday. "We believe Magic Leap's personal spatial computing platform, coupled with Unity's tooling, will allow even the most innovative imaginations to be brought to life." The Unity integration is compatible with Magic Leap Remote, which allows a developer to run accurate code simulations without the need for a Magic Leap One device itself. "You don't even need a device to begin development," reads the documentation on Magic Leap's developer page. "Our Remote tool also includes a Simulator component with coverage for the major Lumin SDK features. 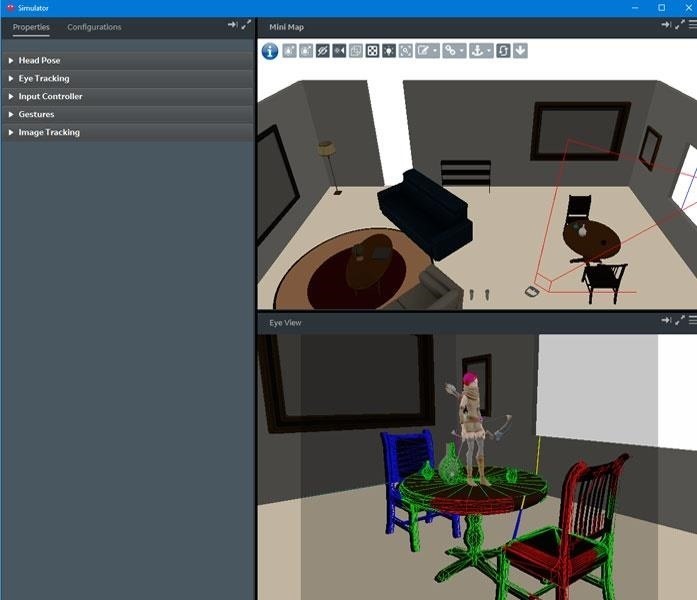 When iterating using the simulator, the graphics are composited together with a depiction of your virtual room and rendered to the Simulator window." Not to be ignored, the folks over at the Unreal Engine also announced a partnership with Magic Leap. "Epic Games has released Unreal Engine 4 support for the Magic Leap One: Creator Edition, a software toolkit for early development of experiences for Magic Leap's personal spatial computing platform, as part of a larger partnership between the two companies," said Chance Ivey, the AR and VR partnership manager at Epic Games. 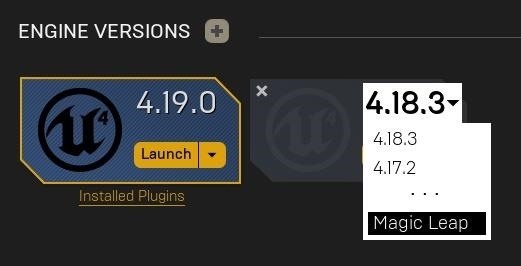 "Leading creators of world-class content are already using Unreal Engine 4 for Magic Leap One. In addition to Epic, studios using Unreal to develop content for Magic Leap include Framestore, ILMxLAB, Schell Games and Peter Jackson's Wingnut AR." "Unreal has long been the go-to development engine for some of the top game studios in the world," said Rio Caraeff, the chief content officer at Magic Leap. "This partnership with Epic will enable more creators to join Magic Leap on its journey, creating content for the next computing platform." Similarly, Mozilla released its own announcement via Twitter. "We're delighted to be able to share that we're teamed up with Magic Leap as an early access dev partner to explore spatial computing on the immersive web!" the organization's Twitter feed stated not long after Magic Leap's SDK announcement. And while many developers who have been waiting for this Magic Leap news are likely excited, the fact that few have even held the device to determine whether it's even worth spending time developing for it isn't lost on everyone. Sure, you'll now be able to simulate user experiences designed for the device, but you can't simulate demand and market interest, which is how many developers make their money. But despite the absence of any discernible user base or mainstream interest, such support from the aforementioned major software players is bound to drive a good number of developers to take a gamble and start developing for the Magic Leap One, with hopes that their efforts will eventually pay off. "Unity shares Magic Leap's mission to create a more unified world where the physical and digital exist as one," said Flynn. "But such a world only exists when creators like you take the challenge and make this future a reality."